Beetroot and mackerel are a classic combination, as this mackerel recipe proves. 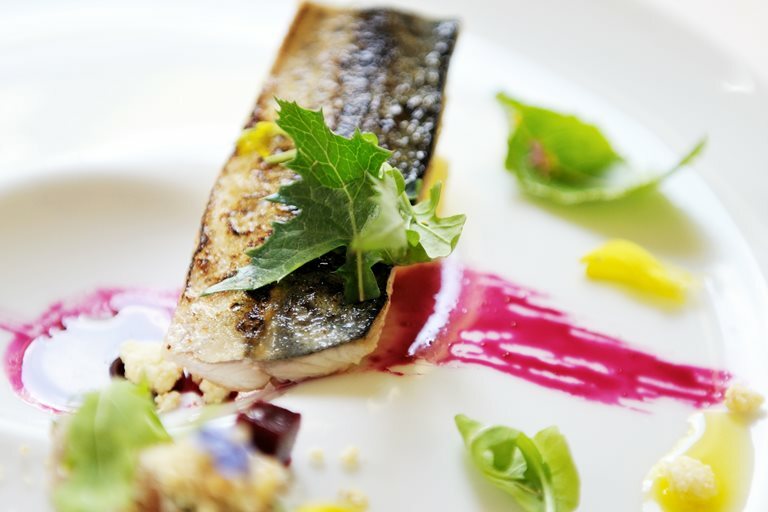 In James Sommerin's recipe, both ingredients are treated in two ways - the mackerel seared and turned into a tartare, the beetroot pickled and its juice reduced. White chocolate and horseradish are added for further levels of creativity and the plating is truly stunning.